From the cold forests of northeast Faerûn comes the Volodni, or treefolk. Plant yourself in a new race and let it take root. 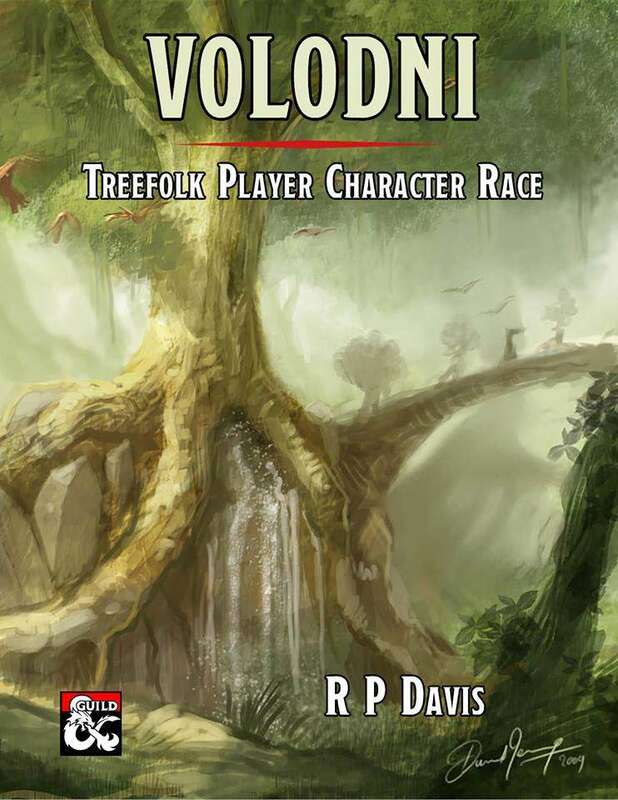 It's great to embark on adventure and branch out beyond the races you find in the core books, and you’ll probably leaf your previous characters behind, because who doesENT want to play a tree? This player character race option is taken from the 3.5e rulebook Unapproachable East, and has been carefully balanced for 5th Edition play. Look for more Forgotten Realms character options soon from R P Davis! R P Davis is a freelance writer, editor, and adventure designer. He’s been a tabletop gamer the entire time he’s been sentient, and a role-playing addict for more than 30 years. In that time he’s written countless things, from simple spell effects to D&D; campaign worlds to complete role-playing games. He is now a Mithral-best selling Guild creator. You can find R P Davis at The DM’s Guild, his website at www.r-p-davis.com, on Twitter @WP2XX, and on Facebook. Hello! I stumbled on this last night, it’s awesome and has really captured my imagination! Only question, is this official content or 3rd party/home brew/etc? We are about to play our first game of 5e and we are going strictly official content to help learn the system, respectfully. Thank you! That's a good point, and one I hadn't considered. As a DM, I'd rule that, when unable to rest as described, the character has the option of resting like other non-Elf humanoids do.